The Base Ghisa, cast-iron lamp is one of Luigi Caccia Dominioni's most minimalist designs. 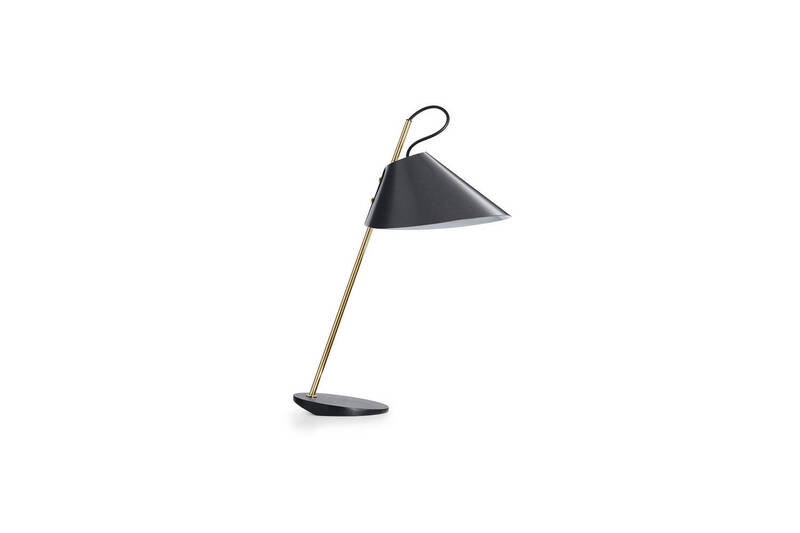 Even the name of this table lamp highlights the very essence of the object, cast iron being a fundamental architectural element. This unassuming, domestic object has immense presence despite its relatively small size. Another interesting fact is that "ghisa" in Caccia Dominioni’s home city of Milan was an affectionate nickname for policemen whose dark helmets looked solid and iron clad. The abstract geometry of the design is all about function. From the sturdy base upwards, the tilts and gradients of the lamp allow the structure to appear to float in gravity-defying equilibrium. 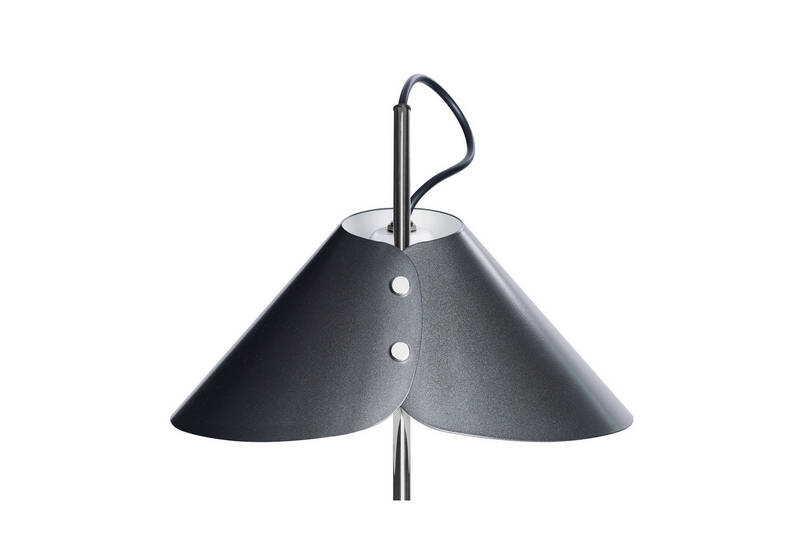 Base Ghisa complements its older sister Monachella in the shape of the lampshade, elegantly set at a graceful angle. The bulb beneath is skilfully hidden to prevent the viewer being blinded by the direct beam yet still creates a generous and welcoming arc of light even from such a relatively small lamp. In a darkened room the lamp itself melts into the background leaving a pool of light centre stage.